Say "Good-bye" to dirty shoes!New Balance Shoe Cleaner cleans leather, rubber, canvas, and synthetics. 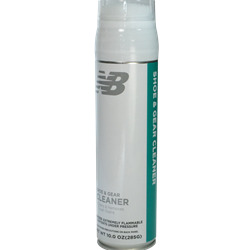 New Balance® Shoe Cleaner with TFX™ cleans leather, rubber, canvas, and synthetics. The new formula includes dirt dissolving enzymes!